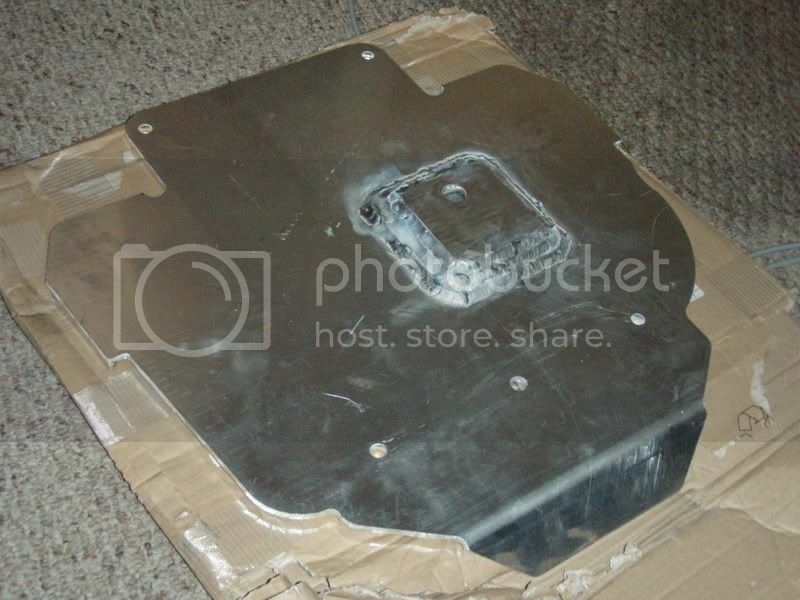 Aluminum Oil Pan Skid Plates for Sale/GB!! OK, so I finally got my Vendor status, so this is now officially a GO. See this thread for specifics, but these are made of 1/4" Aluminum, and are somewhere close to a copy of the stock plastic oil pan/front diff. 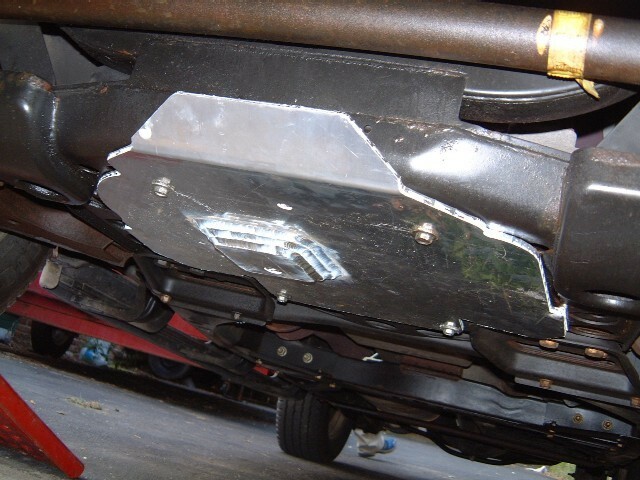 skid plate, and will mount to your stock holes with your stock bolts (though I provide hardware). 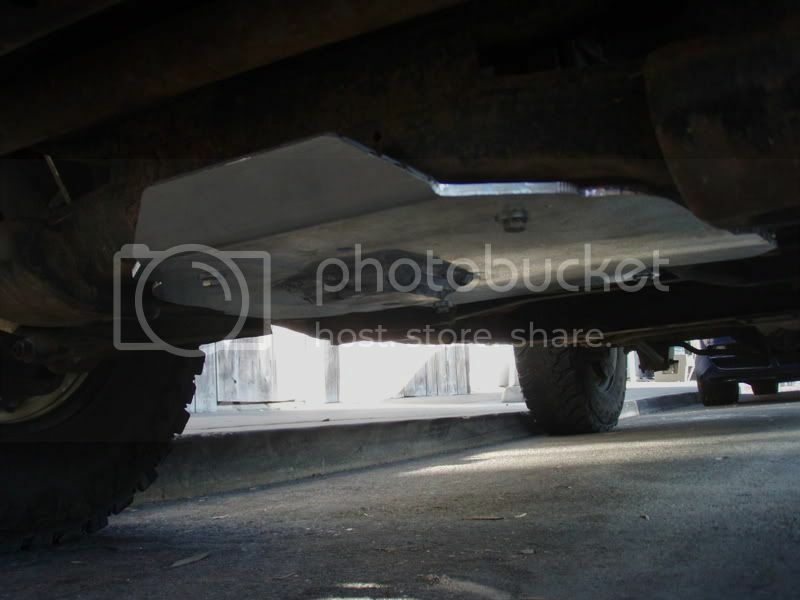 NOTE: this is basically a beefed-up stock skid plate. It is not something that you should be able to land the weight of the entire vehicle on! Even if I made it out of 1" steel plate, the frame is kind of cheesy in that area, so the frame would get damaged instead. What I'm specifically saying is: Don't jump the thing 10' in the air, come down on the skid plate, destroy the skid plate and the oil pan, then expect me to replace either one or both. 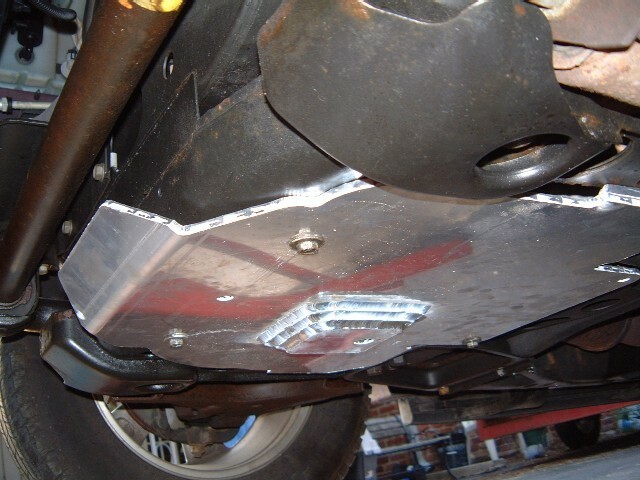 This is an aftermarket, off-road piece that does not guarantee 100% protection from everything. Contact me for current prices and ordering. It can either be a BANK FUNDED (NOT Credit card... I'm not giving them 3% of every transaction I do for anything, for ever) Paypal to barton174 AT gmail DOT com, or send a check or money order in the mail. PM me for the address, as this is a publicly viewable forum. Personal checks are fine, as there will be plenty of time for them to clear before shipment. This will be more or less a "group buy" as I really have no idea how many people will pony up for these, and I've seen guys go ahead and order and pay for as many of an item as people say "i'm in" for, then when it comes time to pony up the cash, about 1/3 of the people come through, and the guy loses, literally, thousands of dollars of his own money. I will not do that. You may be able to order them later, but the price will be higher for individual orders, with the same ~4-6 week lead time. Starting right now, I am taking orders when I get your money. I will stop taking orders on October 15th, a month from now. I know people's pay schedules vary, so I will leave it open for that long. If you have a check in the mail, PM me, so I know to look for it, and so if I don't get it, I can contact you. If you've got extenuating circumstances regarding the order dates, PM me. After orders are closed, I will put the order into the sheet metal shop, and I should get them in ~3 weeks. I will then post up that they are in, and I will ship them to you, and send you a PM or a message back through PayPal when yours is in the mail. Things to BE SURE to include in the notes on your Paypal, or a letter with the check. 3. Your STREET shipping address (NO P.O. Boxes as I am using Fedex. Let me know if you need me to use UPS for you, though, and there will be a very slight upcharge). 5. Any notes like "I have a front hitch," "I have a front skid plate," or plain old "I don't want the ramp in the front," etc. And yes, I don't know where the actual sheet aluminum comes from, but they are punched, formed, assembled, welded, and shipped in central Indiana! 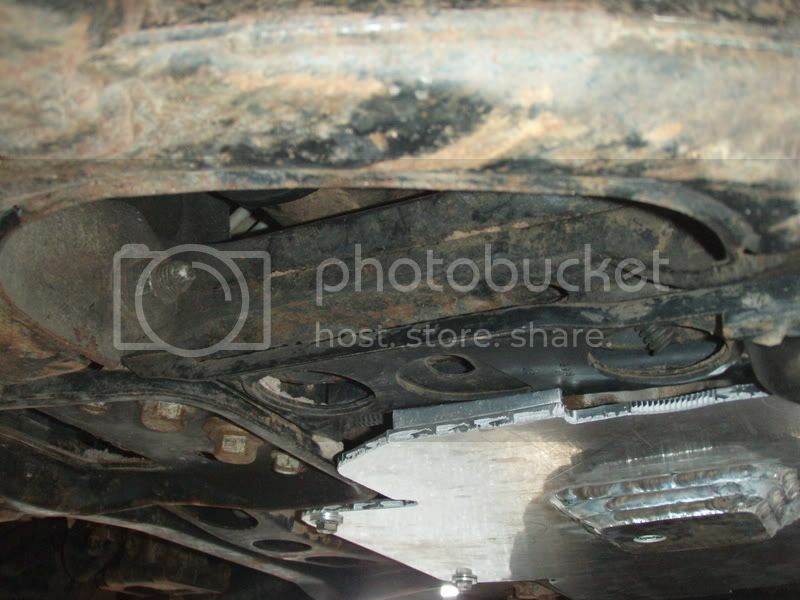 I didn't follow the other thread, but to do an oil change, you'd have to remove this skid plate, right? Southeast Chapter SC Rep The Happiness of Society is the END of Government! Thanks... Looks like a good deal for the price in the GB..
Is there any drilling or anything required or is it really just lift the truck, turn four bolts? Sadly I can't get in on the mass order due to timing but would not be opposed to a slightly higher individual price later on. 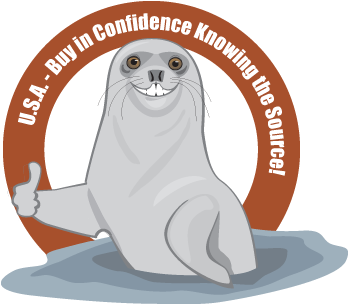 Especially with the Roadie Seal of Approval! No drilling at all. 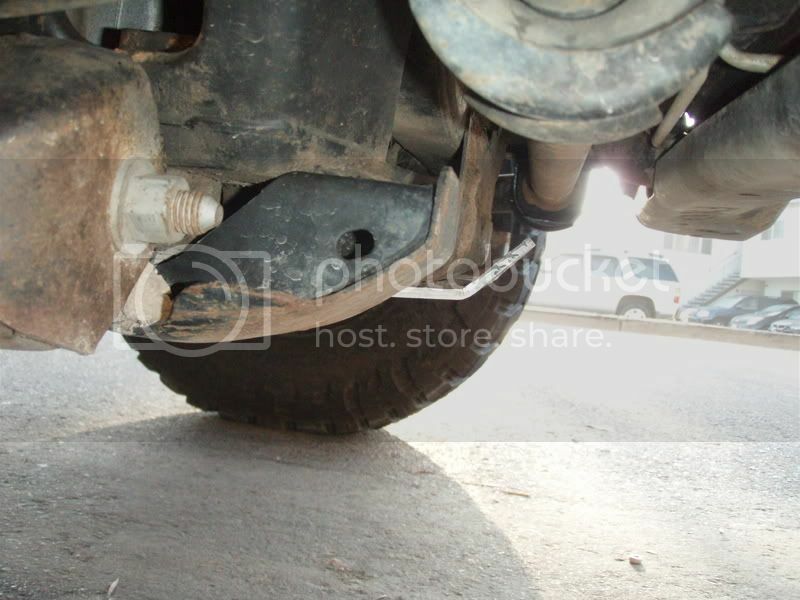 If you didn't have a stock skid plate, you may have to run a lubed tap through your stock captive nuts' threads to get any corrosion out, but yes, it uses the stock nuts that area already in the frame. That's fine, whatever... I completely understand the timing thing, which is why I will be offering them later. The price is inflated later because there are no others to spread the setup cost over, but it is doable.